A Nottingham Pensioner, Juan Inchcock (68) has been injured in the Victoria Shopping centre, whilst struggling to walk through (Though he had no money for any purchases so why he was there is a mystery) the shopping mall, amidst the packed early Christmas shopping crowds. Not being so nimble on his feet, he was nervously limping his way through the milling crowd of mobile-phone, iPod using excited youngsters and women, Big Issue sellers, Hoodies, Skateboarders, Mobility scooters and a few hundred brawling, swearing, spitting threatening energetic kids, and some distracted, frustrated parents. It seems he had earlier had his hat stolen from his head by youthful antisocial lads, then got knocked over by a Mobility Scooter. 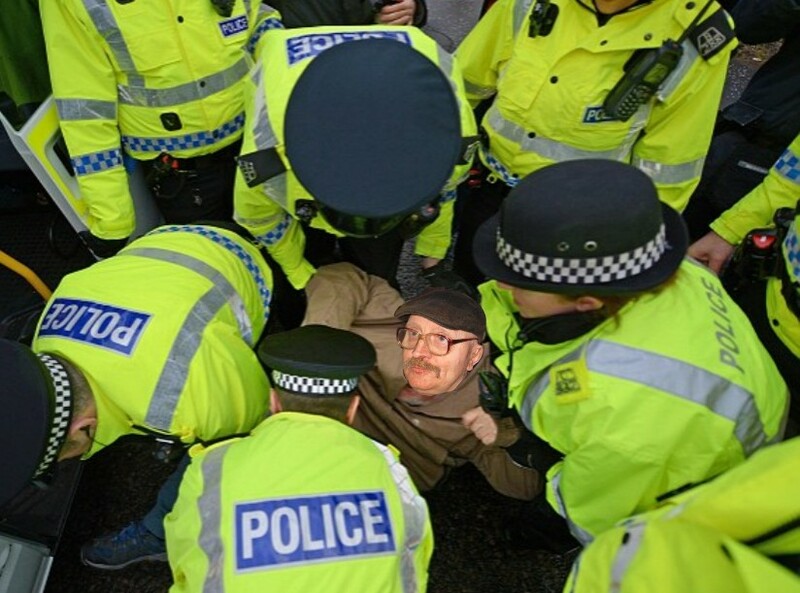 At this point as he was trying to get his senses back just outside the Jessop’s store – a group of Albanian shoplifters being chased by CPOs ran out of the store knocking Juan down and over again just as he was getting up from the floor with the assistance of his walking stick. Shopping centre staff found Juan’s NHS Medical card and summoned medical assistance. 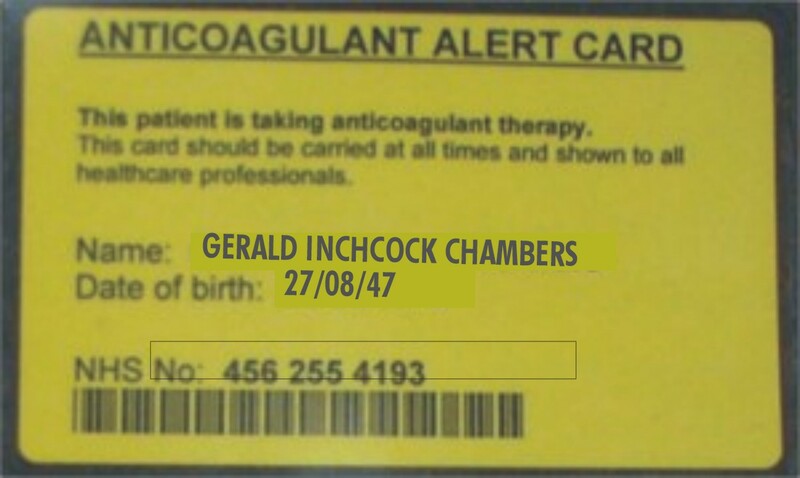 As he lay there in the pooling blood one of his hearing aids fell out and as he gingerly stretched out to retrieve it his camera fell out of his pocket and it was nicked within seconds, and someone walking past rubbernecking stood on his walking stick breaking it in half and smashing his bottle of Ethyl alcohol. 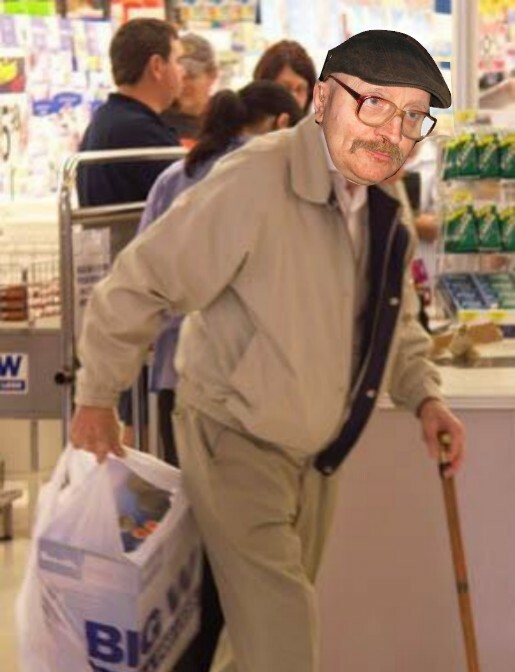 He was particularly upset when the Big Issue seller stole his Age Concern carrier bag, because it had his Horlicks and midday medications in it. “It wur ‘ell for mi! Bloody Christmus, Bah Humbug to um all! I ‘ad tu fight through farsands on um, all spendin’ money un gerring fings for Christmus fer there families like. Having lost the shoplifters the CPO’s returned to Juan: They summond assistance and arrested Mr Chambers for having open alcohol in a public place, and obstructing the police in the execution of their duty.